Have you checked the manufacturer's rating plate fitted to the truck? Regulations stipulate that this should be in a place that's visible to the operator, so it shouldn't be too difficult to find. This plate is full of information and can vary in layout depending on the manufacturer, but they all have to meet certain criteria. The main set of data will be the forklift's rated capacity; this will help you to understand whether your forklift is the correct size for the job. For example, it might say 2500kgs at a load centre of 500mm. 2500kgs is relatively straight forward, however the important part is the 500mm load centre. The load centre is the distance to the load's centre of gravity. If your load is a 1000mm cube and the weight is evenly distributed, the load centre will be exactly in the middle, 500mm. If your load has changed size—say to a 1200mm cube—it might be exactly the same weight, but its load centre is now 600mm. 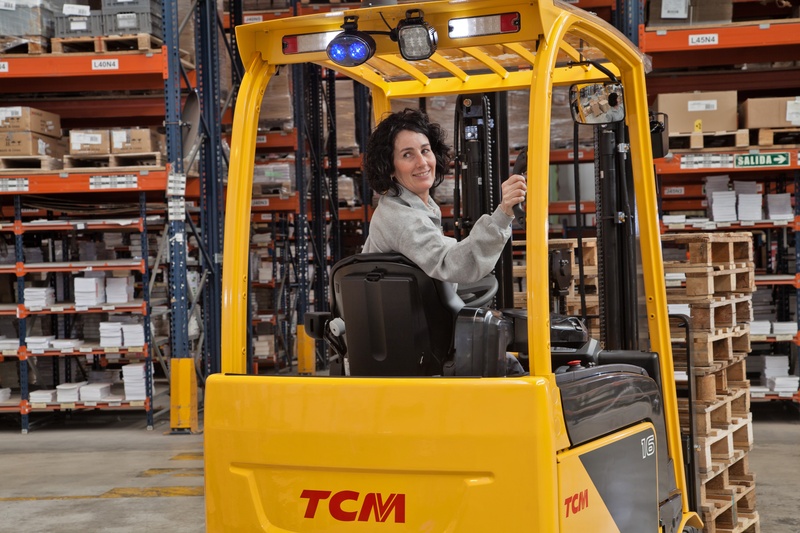 By moving the load centre outwards away from the truck, you reduce the maximum weight that the forklift can handle. The truck's rating plate may already tell you what its capacity is at a 600mm load centre. If not, you'll need to ask the truck's manufacturer to calculate what it should be. They will also be able to supply you with a new rating plate. This must be fitted by an authorised person on behalf of the manufacturer. You also need to check whether any of your product overhangs the edge of the load carrier. You might have a 1200mm x 1000mm pallet, but the product could be overhanging by 100mm all around. In effect, this makes the load 1400mm x 1200mm—an increase of 100mm on the load centre. This will definitely have a negative effect on the forklift's rated capacity. This is a very common occurrence, which usually goes unnoticed until it becomes an issue. The rating plate must be correct for the load being handled. If the truck is involved in an accident, then this will most definitely be investigated. Whether you need advice on your forklift size or forklift load sizes in general, the TCM national dealer network have the expertise to offer all the advice you need. They also have access to unrivalled product support from the UK based TCM distributor. For advice on calculating your forklift load sizes, get in touch with your local dealer. Click the button below to enquire.